Ovie Ejaria has signed a new long-term contract with Liverpool FC and immediately joined Rangers on a season-long loan, subject to international clearance. Having agreed fresh terms to commit his future to the Reds, the midfielder sealed a temporary switch to the Scottish side – now managed by Steven Gerrard – for the duration of the forthcoming campaign. “It’s a really great feeling. I’ve been at Liverpool for four years now and I’m just really happy to extend my stay here,” the 20-year-old told Liverpoolfc.com. 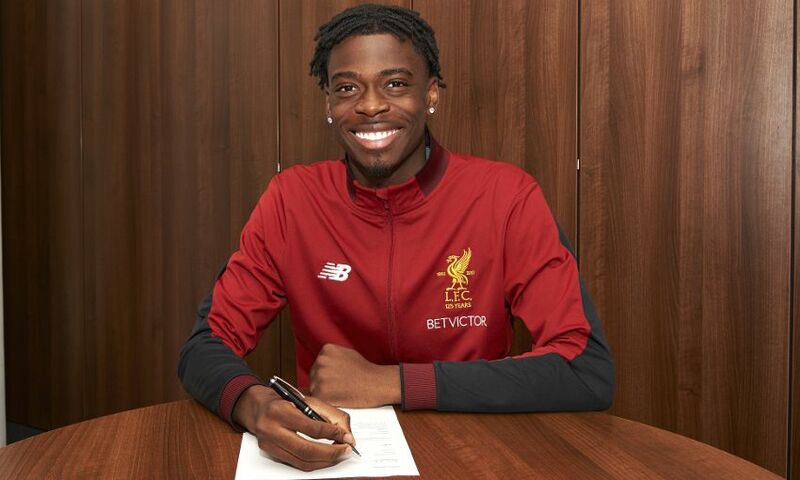 Ejaria, who joined the club’s Academy from Arsenal in 2014, has clocked up eight first-team appearances for Liverpool thus far, all of which came during the 2016-17 season. He spent the second half of last term on loan at Sunderland, featuring 11 times in the Championship. Now the next step in his development will come under the stewardship of Gerrard, following the Reds legend’s appointment as manager of the Glasgow club. Asked to outline his targets for the coming campaign and beyond, Ejaria added: “I’m just going to keep working hard and see where that takes me.